Hebrew U prof claims Israel carries out arms tests on Arab neighborhoods during lecture at Columbia. 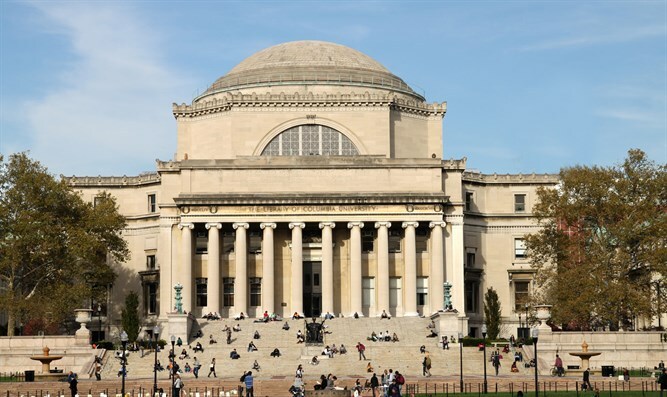 In a recording released Sunday morning on the Army Radio, Good Morning Israel program, Professor Nadera Shalhoub-Kevorkian can be heard at a lecture at Columbia University criticizing Israel for carrying out weapons tests on Palestinians. In the lecture, the professor claimed that Israel uses “Palestinian neighborhoods” as laboratories for sales of Israeli weapons. She also claimed that Palestinian children are used as test tools by the IDF. Her claims were presented to dozens of students and lecturers from Columbia University as a study conducted by the professor under the auspices of the Hebrew University.